Are you tired of worrying about what to make for mealtime, just to hit the drive-thru instead? Do you want noms with minimal prep but amazing flavor? Do you want a family dinner that works with your busy schedule? The Comfort Classics Cookbook is here to help! With over 25 of the best comfort food recipes that come together quickly, often with a single skillet, pot, or casserole dish, this cookbook with get the family around the table and enjoying home cooking once more. What is included in The Comfort Classics Cookbook? 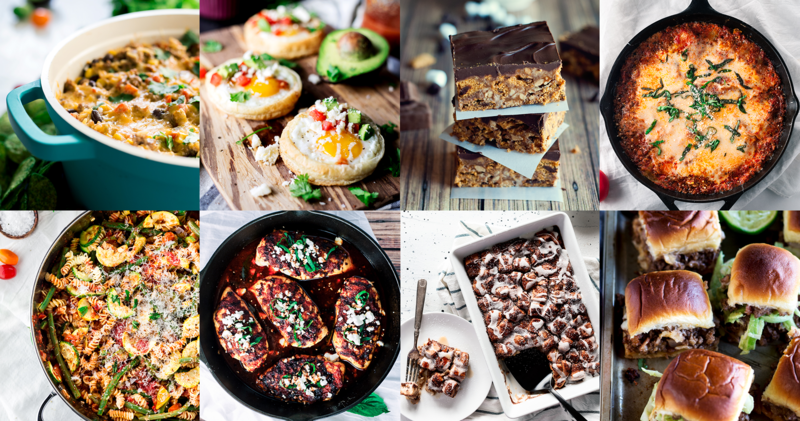 More than 25 recipes from the Simple Pantry website, in a convenient, gorgeous PDF! Total value of $15, yours for just $9 $4.99! How many servings are in each recipe? It varies by recipe, but the average is 4-6. Most recipes allow for leftovers, and refrigerate very well for up to 3 days. Do the recipes require special equipment? No! While products like Instant Pots and Air Fryers are all the rage, these recipes require little more than basic pots and pans! 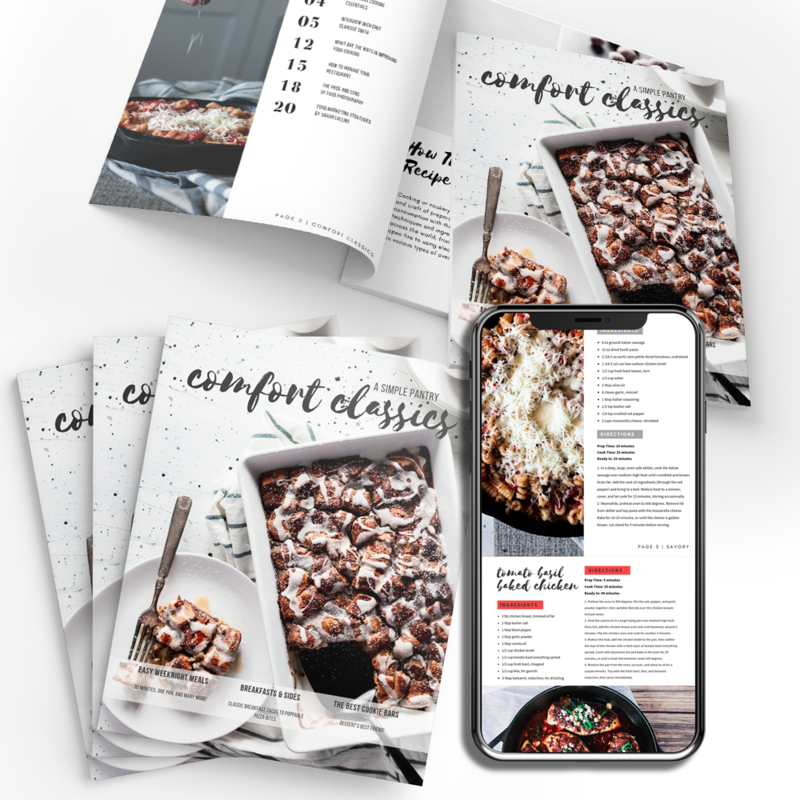 This cookbook is a PDF eBook that can be read on computers, tablets, and smartphones. (No special e-reader required!) 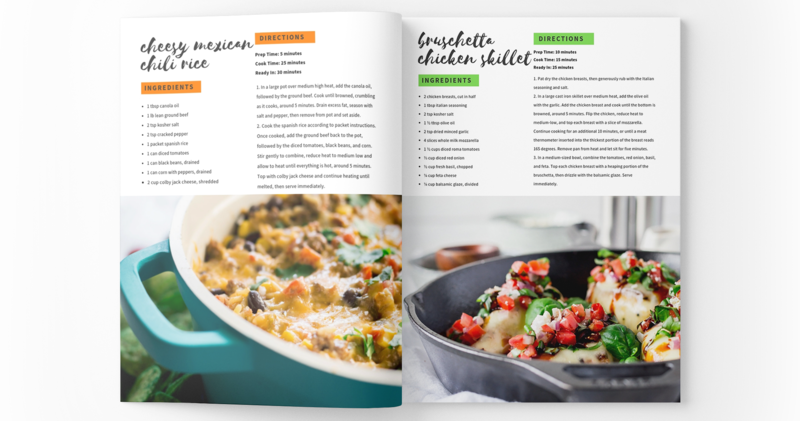 They are formatted to print on regular 8.5×11″ computer paper so you’re welcome to print copies if you want, especially the note pages, foods list, meal planner, and grocery shopping list. I want you to love this eBook! But if you’re not satisfied, you have 3 days to get a refund. Hi! I’m Karly, a mom to four girls. It’s not hard to relate to the struggle of getting a decent meal on the table while caring for the kids and working, making cooking the last thing on my mind. Now I’m able to whip up quick and delicious foods for every meal of the day, any day of the week that are budget-friendly and kid-approved! I’m the blogger behind A Simple Pantry, and the author of The Comfort Classics Cookbook. What’s my secret? I did all the dirty work for you! I’ve tested thousands of recipes, chopped all the vegetables, tried all the sauces, and I carefully tweaked and created the best recipes to prepare in a hurry for every day success. While fad diets are all the rage, there is something just wonderful about returning to the basics of classic comfort foods. That’s why I bundled this cookbook of all the best of my recipes for easy, everyday cooking wins. Simple ingredients, simple instructions, minimal prep. Just delicious food, any time of the day. I have always enjoyed Karly’s recipes and I love The Comfort Classics Cookbook because it puts all of my favorites in one easy spot. Her recipes are easy to follow and the photography is stunning. And the fact that there’s a shopping list included makes my life so much easier! Grab this eBook; you won’t regret it! I’ve always hated cooking, but thanks to The Comfort Classics Cookbook and Karly’s crazy easy recipes, I’m finally enjoying delicious home-cooked meals! 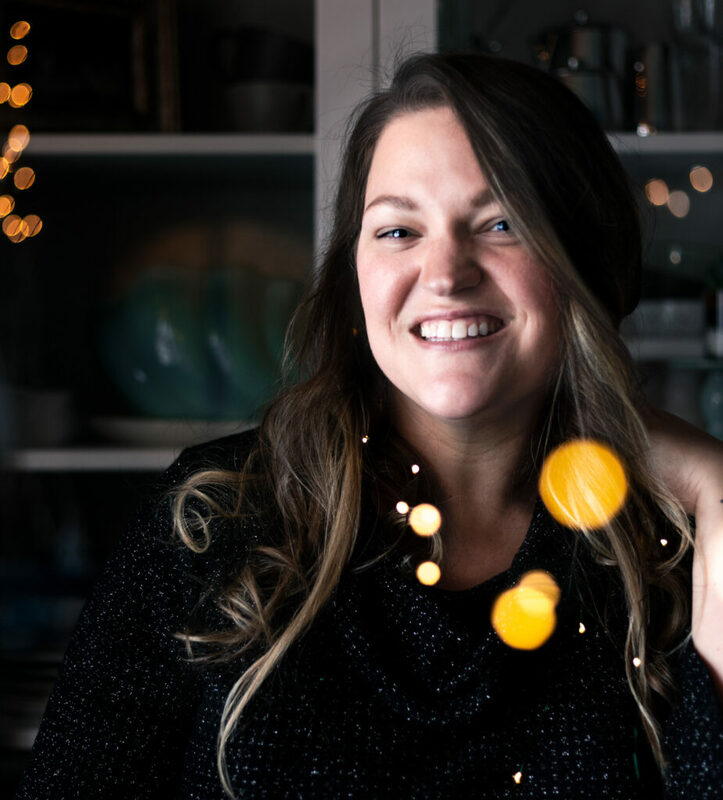 My kids are all in after-school activities and my husband commutes, so it’s important to be able to feed my family quickly, and Karly really hit it out of the park with this cookbook! A must have for any family!